Billy Reid, the Alabama-based designer, grew up wearing the classic K-Swiss tennis sneaker, and since 2011 he has partnered with the brand on special limited-edition releases that are an evolution of classic K-Swiss silhouettes. Much like their past collaborations, these new sneakers are entirely Made In The U.S.A. in Batavia, NY, by P.W. Minor — America’s second oldest shoe and boot manufacturer. 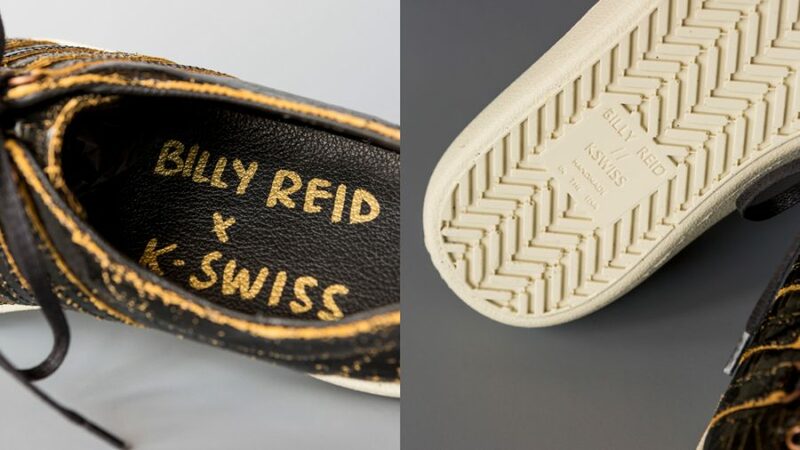 Click Below To Watch and Hear from Billy Reid on the collaboration and making of the sneakers. The family-owned shoemaker, P.W. Minor, still deeply rooted in tradition, added hand-sewn touches to the sneaker design. The selection of four distressed suede and leather colorways give the new release a vintage aesthetic. As a finishing touch — and a nod to the handcrafted effort that goes into each pair of sneakers — a P.W. Minor factory employee handwrites the Billy Reid x K-Swiss logo on the insole of every shoe before it leaves the factory.